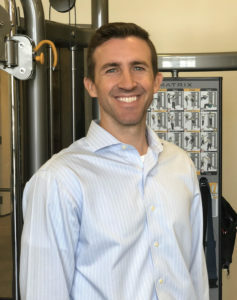 Kevin Dessauer, DPT, COMT earned his Bachelor of Science in Kinesiology and Human Movement from Louisiana State University in 2008. Dessauer also earned All-American, All-SEC honors, and a University Medal as a member of the LSU tennis team. After experiencing the excitement of college athletics, Dessauer was inspired to continue his education in sports medicine, rehabilitation, and performance. In 2011, he earned his Doctor of Physical Therapy from the Louisiana State University Health Sciences Center. Dessauer went on to earn his certification as an orthopedic manual physical therapist from Evidence in Motion in 2015. Dessauer’s extensive knowledge and experience as a physical therapist and tennis professional has led him to be the Director of Sports Medicine and Performance at BRIO. He brings his practical knowledge to bear by treating and training some of the top high school, college, and professional athletes in the New Orleans area. His approach is focused on developing the complete athlete through physical therapy and the sport- specific training programs at BRIO. Dessauer is a New Orleans native who resides in Lakeview with his wife and son. He was recently inducted into the Archbishop Rummel High School Athletic Hall of Fame as a four-sport letterman.